4 Bedroom Detached House For Sale in Devon for £434,500. set within a countryside location on the outskirts of the historical coastal town of Seaton, Devon enjoying beautiful sea and estuary views. A stunning new development from noted New Homes Developer Baker Estates. 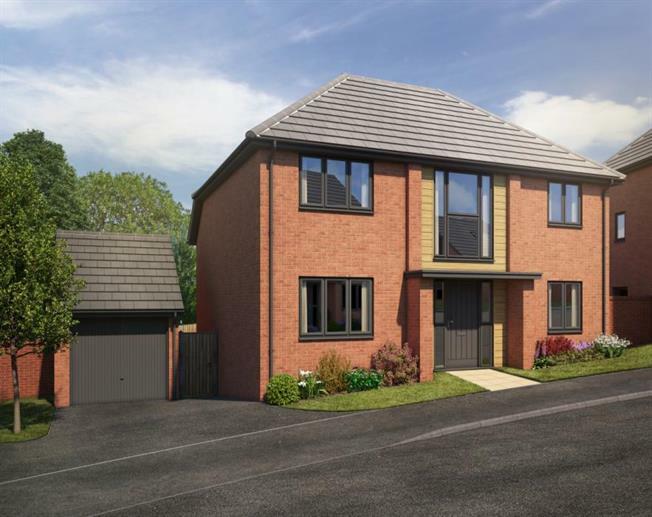 A range of thoughfully designed, light and airy homes built to a high specification, and with energy efficiency, these stunning homes will be modern living at it's best! Home 13- The Oakley with South Facing Garden and Sea Views! An extremely impressive 4 bedroom detached house, featuring a spacious kitchen/ family room, separate living room, study/dining room, utility, 4 good sized bedrooms, master with dressing area and en suite and gallaried landing. Garage, parking and garden.